Do you want to be a part of the development of a fast growing quant business? We are looking for a business oriented quantitative analyst with great tech skills to the Risk & Valuation Services a unit in Investor Services within Large Corporates & Financial Institutions. Together with a group of skilled quantitative analysts you will continue to develop and expand the services in quantitative analysis and portfolio hedging as well as risk and valuation services on behalf of pension funds, insurance companies, mutual funds and hedge funds as well as internal stakeholders. We provide our clients with risk measures and independent valuations of their portfolios; you will take part in modelling, ensuring quality as well as maintaining and developing new service offerings towards our clients. You will also take an active part of the development of our analytics platform as well as in the maintenance of the technical platform. Together with the team you will maintain relations with clients as well as with internal stakeholders. We believe you are a business oriented and service minded team player with a solid background in quantitative finance. You are a problem solver and a service minded team player who can work under pressure. You have a relevant academic background and at least 3 years of professional experience in the financial industry. You have worked with derivatives covering aspects such as valuation of linear and non-linear cash flow products, risk calculations; market parameters i.e. credit/yield curves and volatility surfaces. You have a good knowledge of programming in an object oriented languages and experience from working with SQL databases, experience and good programming skills in C# and .NET and ARMS risk system is an advantage. We expect you to be analytical with very good communication skills in both Swedish and English. 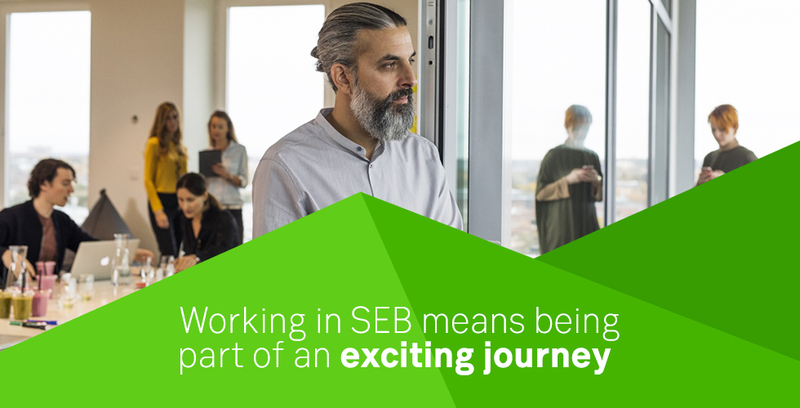 Attach your CV and a personal letter describing yourself and how you can contribute to SEB. Since we select candidates continuously, feel free to send in your application today, but no later than March 3rd 2019. If you have questions about the position please contact Ulrika Possung, Head of Portfolio Solutions, +46 70 201 21 55.